Gratitude and the Law of Attraction - Help for you! The Law of Attraction is life changing - we know this. Don't we? If you find that some days it works and other days you aren't so sure then listen up. Pull up a chair and keep reading. Have you had a thought about the thing that you could be 'missing'? If so, did you consider Gratitude? Why do we need to show gratitude? Without gratitude we are giving off a feeling of lack, a feeling that we need more of what we don't have enough of. The vibration that we give off will just have you creating more lack. Remember watching the secret? (if not, get the DVD here) * You will remember that there was a genie demonstrating that you can have whatever you ask for from the universe. Well, in theory yes, but the most important thing you can miss from this message is this: You give off a vibrational energy (or vibe). This will be the thing you are attuned to - and aligning with. Without any negative vibrations ever, the genie theory can indeed work. Yet we are simple human beings, with things that niggle us. We can get frustrated at times and a bit humpy. Let's face it, we all do sometimes. When drivers act like they are driving with their eyes closed, or with 'invisible indicators' as I call them. You know, the ones you have to guess where they are going as only fruit bats can see them! While this may sound daft to some, (or perhaps you have had success with the attitude of gratitude) it's got to be worth a try. When you look in the mirror do you stand there pointing out all your imperfections? So, what do you actually like about yourself? "I've a pretty cool nose." "I love the colour of my eyes." For me, the biggest thing I will always be grateful for is the love of my children and I remain so eternally grateful for this every day. So what now? How do you turn things around? I've a tip for you. It's free and I urge you to get onboard right away. If you think a nice thought, it's a great start. If you say it out loud, it gives it more energy, more momentum. To share it with others is even better! Add pictures to it and it becomes more than a thought, it's now a visualisation. Even better, make a video and you can see it, feel it, imagine it etc. So within my Facebook group A Lusher Life, we are going to begin the 30 days of gratitude as from the 1st of the month. What you need to go to get onboard is come over and join the group (Click here) - if you are already a member then Hi! - and start posting at least one thing to be grateful for each day of the month. With the summer holidays upon us I would love to see some amazing photos and also some yummy picnics and the like. Anything really that you feel you are thankful for! Within your post add #mylusherlife and voila, that's it. Then you will be giving so much energy to the vibration of gratitude and showing the universe that you are ready for more magic. You will be amazed at the lightening speed with which this works! Feel free to share this blog post with your friends, the more the merrier. Oh and if you are a little shy but still want to participate you can do so by emailing me your gratitude to this link where I will appreciate your effort and privacy. Subscribe to this blog by email to keep an eye on other tips such as these and you will also see a list subscription (if you aren't there already) in the top left hand corner. I'd love to see you achieve the life of your dreams and it can be done! Just get that vibe right and it will happen. 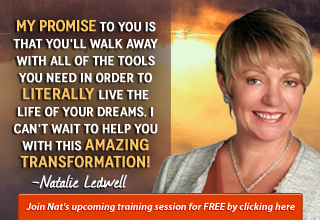 PS, my lovely friend Nathalie Ledwell has some brilliant free training videos which help you even further too - just click below. Top 5 tips to figure out the life you want! Why have I been growing my nails - and how?!? !